Some of us might be familiar with the car care product “Bugger Off” – a really useful product that cleans insect splatter off the front of your car with ease. In Australia there still seems to be plenty of insect life around but wildlife experts have been warning about the decline in insects for decades. I’m not sure if you’ve noticed any decline in bug splatter on your windscreen over the last decade or so? In areas of intensive agriculture, more-so cropping, the use of wide scale insecticides has diminished insect numbers. Vast areas of the Australian Outback doesn’t have this problem, with little cropping present in remote areas. But, where crop farming is intense, the use of insecticides is definitely reducing the total insect population. The fall in insect numbers in Britain has reached troubling numbers that even motorists are noticing that their windscreens are clear of squashed beetles, flies, moths etc. In Britain, a trip in the middle of summer once required the cleaning of the front window regularly, but now the glass is largely clear. Richard Acland, of Chepstow, in Monmouthshire, Britain said he believed insecticides on crops were wiping out the world’s insect life, adding: “This is why cars are not bug-splattered anymore.” Entomologists actually call it ‘the windscreen phenomenon,’ and statistical surveys reveal that the phenomenon has been noticed across Europe. After extrapolating data from a mile of highway in Ontario, a researcher from Laurentian University, Canada calculated that hundreds of billions of pollinating insects were probably being killed by vehicles each year in North America. She suggested that the increase in vehicle numbers is also contributing to the decline in worldwide insect populations. Another research institute in Harpenden, England, has monitored insect populations using traps across the UK for more than 50 years and there has been evidence that insect numbers have really declined. Experts mostly blame intensive agriculture and the use of pesticides over the past 50 years being attributed to this occurrence. They did point out, however, that the loss of insects from vehicle windscreens is well-noted but actually demonstrating it is tricky. In 2004 motorists were asked to attach a ‘splatometer’ to the front of their cars – a piece of PVC film to collect insects, to see if they were declining. The results showed that there were 324,814 ‘splats’ recorded, which worked out to be an average of one squashed insect every five miles. It would be beneficial to run another of these experiments to see if numbers have declined further or not. One thing that might throw the data, however, is the increased aerodynamic shapes of new cars travelling the roads. The reality that cars have changed shape over time, and are now far more aerodynamic, would also result in fewer insects actually being hit squarely on the windscreen and causing a splat. Cars and insecticides are an insect’s nightmare. Less insecticides and more shapely cars has to be a good thing for life on planet earth! 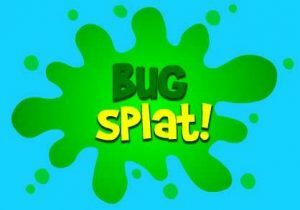 Have you noticed less insect splats? The ACCC recently released a series of findings pertaining to the Australian automotive industry. Among these findings were observations concerning the resolution of new car buyers’ complaints, fuel efficiency and emissions tests, as well as sharing manufacturer data with independent mechanics and body shops. While each of these topics is contentious in its own right, the last of these, shared vehicle data, should have relevance to just about every stakeholder in the industry. 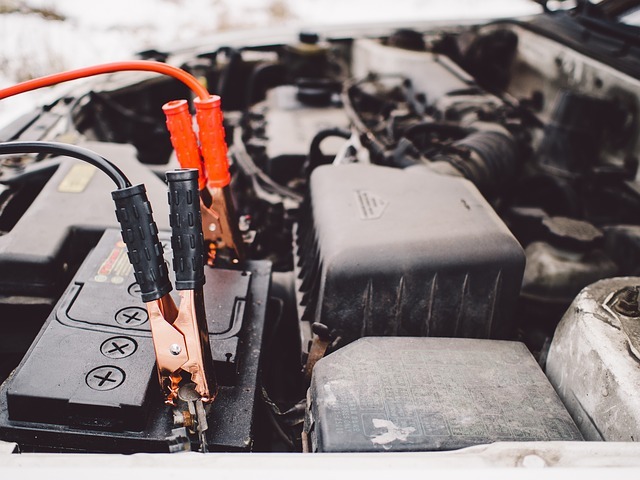 Looking at the ACCC’s observations more closely, the consumer watchdog is advocating for repair and body shop members of the Motor Trades Association of Australia to receive current vehicle data from all manufacturers, so that they may also carry out work on vehicles. These changes would obviously open up repair and services work to a wider market, thus reducing business for dealerships. Currently there is a voluntary arrangement in place, which has been limited in its success due to a lack of consistency and timeliness in sharing such info. As such, the ACCC is pushing for a mandatory arrangement. The provision of this digital data on a compulsory basis would not be without costs however, as receiving parties would be expected to pay for access to this information. There is also scope in the recommendations for independent repair businesses to receive faster access to OEM parts. Again, on a commercial basis but with some provisions for restrictions based on security. The price of said parts is also flagged as an issue, with prices said to be rising and dealers able to leverage discounts. Although policy on all of the issues has not been addressed, public consultation has been earmarked as necessary. Naturally, while public consultation is a fair and transparent process, the ACCC should be forthright in pushing what is a much needed agenda for change. For too long now new car buyers have been confined in their choices as a consumer with respect to servicing or repairing their vehicle. Even if there hasn’t been a formal restriction in place, motorists have felt compelled to take their vehicle back to a dealer for servicing. In turn, this has led to motorists forking out a considerably greater deal to maintain their car than would otherwise be the case. They are in part wearing the cost of a lack of competition, while ultimately, dealerships have been able to recoup significant margins that were otherwise diminishing by way of lower retail car prices and record low interest rates. Also, what cannot be overlooked is the impact, from a safety perspective, this has had when consumers opt instead to refrain from repairing or servicing their vehicles as would be necessary. On the other side of the equation, the consumer watchdog also views customer loyalty as hindered and points to the lack of a “level playing field” caused by the current state of affairs. For a healthy market to exist, it’s important that participants are all afforded opportunities to access the same customers. Of course, barring patents, IP or legal restrictions. These changes are just the beginning of facilitating reforms that will restore balance within the industry and better serve customers and mechanics. Car Review: 2017 Kia Picanto. There’s small cars, and there’s micro cars, and those that sort of slot in between. Kia’s Picanto is a small car that defies its external size to offer a well packaged and uncommonly roomy interior, all the while looking like it would fit into the tray of a four wheel drive ute. Private Fleet explores the funky 2017 Kia Picanto, priced at (at the time of writing), $16230 driveaway with metallic paint (Pop Orange on the test vehicle). And when PF says Picanto, it means Picanto. To paraphrase Chief Engineer Scott from Star Trek:The Next Generation’s brilliant episode “Relics”: “There’s no bloody S, no bloody Si, no bloody GT Line”. What you get is a single trim level, a 1.25 litre four, a five speed manual or archaic four speed auto, which is what the test car was fitted with. The little engine that could delivers 66 kilowatts at 6000 rpm and 122 Nm which peaks at 4000 rpm. The fuel thimble holds just 35 litres however fuel consumption for the auto is rated at 5.8L/100 km for a combined cycle. As it’s a city car in intent, figure on 7.9L/100 km around town. If you do decide to drive outside of the big city, it’s rated for 4.9L/100 km. That’s from a dry weight of five kilos under the tonne. We finished on 6.6L/100 km in a mainly city environment and generally with one aboard. We said it was small. How does 3595 mm long, 1595 mm wide, 1485 mm tall, and a huge (relatively 2400 mm) wheelbase sound? Sounds horrible, right? But it’s that wheelbase increase (up slightly from the previous model) that provides ample legroom up front, enough for reasonable comfort for two adults in the back, and enough shoulder and head room for four without constant body contact. There’s even enough room to slide in 255L of cargo space with the comfortable rear pews up. What’s not small is the ability of the Picanto to deal with varying driving conditions, thanks to the brilliantly Australianised specification for the suspension. Kia’s engineers have tweaked the McPherson strut front and coupled torsion beam rear even further, and what is delivered is nothing short of surprising. It’s fair to expect a small car, riding on 175/65/14 rubber (wrapping steel wheels with alloy look wheel covers) from Nexen, to hop/jump/skip around on anything other than billiard table flat surfaces. Nope. You’ll get a car that’s composed, unflustered, sometimes even displaying indifference to broken or breaking up surfaces. Toss the little machine into a long flowing curve and there’s a subtle shift of balance as the car resettles. It’s nimble, adept, and sure footed. There is a bit of crash from the front as you roll over the damnable shopping centre speed humps, but there’s no ongoing motion, simply an acknowledgement of a minor irritant. The electrically assisted steering and overall size play a major part in making this environment easy and liveable to deal with, as is moving it around on the tarmac. A smooth and fluid transition from lane to lane is also what this Picanto will deliver. Like most cars of this size, it will understeer when pushed hard, scrubbing the tyres, but really only in tightening corners and when taking advantage of the chassis dynamics. If there’s a downside to the driving experience, it’s fingers pointed at the transmission. No, not because it’s harsh, unforgiving, stuttery as it’s completely the opposite in being smooth, quiet, responsive. It’s the number four. As in ratios. As much of not being a fan of CVT as we are, the small torque output would be ideally suited to one of them. A further option to explore would be to look at what niche small car maker Suzuki has done. They’ve engineered some pokey small capacity turbo engines and have bolted them to six speed autos. Straight up it improves the driveability of the car, the usefullness of the engine and by having the extra ratios, economy hovers around the 6.0L/100 km mark. 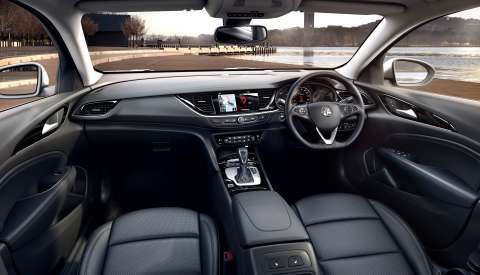 The interior is markedly improved from the previous model, with a seven inch touchscreen mounted up high in the centre console, Android Auto and Apple CarPlay compatibility, reverse parking sensors and reverse camera, supportive cloth covered seats, a driving position that is comfortable enough, cruise control, and classic Kia ergonomics. Tech wise there’s auto headlights, globe lit driving lights, Bluetooth, and a USB and 12V socket in the front centre console. A noticeable feature or two of the Picanto’s interior is the resemblance to a couple of icons. One is the cluster that holds the dial based aircon controls, looking like a controller from a games console from Japan. The other is the broad sweep of the dash that terminates at either end with two air vents that bears more than a passing resemblance to a 1950s Cadillac’s tail. The trim itself is a mix of textured black plastic, alloy look highlights, and splashes of piano black around the touchscreen. The cloth trim has a subtle charcoal and light grey trim and complements the roof lining’s grey shade. The rear cargo space is trimmed with the standard hard wearing carpet and leads to a space saving spare. Storage inside is adequate with two cup holders in the centre, bottle holders for the doors, and there’s even a coat hook in the rear. The outside lifts the Picanto onto another level, with a striking sweep to the headlights, a determined and assertive font design, a pert and tight rear and in profile shows all four wheels pushed as far as practically possible to the corners. There’s potential in the exterior design, potential….. Naturally there’s six airbags, driver aids in the form of stability managements, hill start assist and the like, 2 ISOFIX child seat mounts, plus the standard seven year warranty and capped price servicing for seven years. Maximum cost is at the four year or 60000 kilometre mark, with a current scheduled price of $493. At The End Of The Drive. We see potential above what the Picanto already delivers. It has the potential to become a cult classic car thanks to the fabulous chassis underneath, funky and eyecatching looks, and simply needs a more sporty engine and transmission combination, and a mild fettling of the body, to be a cult classic city car. Head over to Kia Australia’s Picanto to check it out for yourself. … Because you’ll be killed in a head-on smash, that’s why. OK, let’s clarify a few things here. Obviously, all of us need to drive on the road so that we don’t bump into other drivers. When Car A is travelling north at 65 km/h on a road and Car B is travelling southwards at 85 km/h and the road is – whoops, channelled the old-fashioned maths books there for a moment – anyway, how do they keep from bumping into one another? Very simply, in Australia, we have agreed to keep to the left. So why the left? Why not the right? In Australia, we can put this down to our colonial heritage. 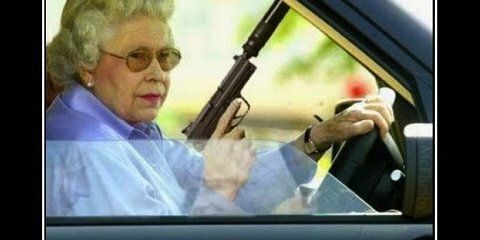 We were colonised by the UK, which is why you’re reading this in English, so all that happened is that they imported their road rules along with the roads. OK, so why do the Brits drive on the left-hand side of the road? As a matter of fact, it wasn’t just the Brits who drove on the left-hand side of the road back in the horse and carriage days. According to one source, everybody used to drive on the left once upon a time. The reasons for this went back to the Romans (like the standard gauge on railway tracks) and possibly even earlier than this. This is because of two facts about human beings: (1) the majority are right-handed and (2) we have belligerent tendencies. Anyone approaching you head-on could be an enemy or at least a potential jerk who doesn’t know how to drive his/her oxcart properly, and you might need to defend yourself and/or teach the jerk a lesson. Road rage is nothing new. In fact, it pre-dates roads, as one Egyptian tomb painting illustrates: it shows two boatmen having a punch up (with one spouting hieroglyphics that were translated as “Take that, you f***er!”) after having rammed each other on the Nile. Anyway, if you’re right-handed and want to have your sword hand on the side nearest the potential oncoming enemy, you kept left. This applied even to foot traffic – and was made official law for tourists pilgrims according to a Papal Edict in the 1300s. If you’ve ever seen jousting in one of those historical re-enactment displays, you’ll see the origins of the “keep left” principle in action. If you’re a knight, you keep your lance tucked firmly under yourright arm and then keep left in the lists so the lance hits the other guy, not your own horse’s head. It’s common sense. So why on earth did people start to keep right in some parts of the world? The person to blame is supposedly Napoleon. According to some accounts, he may have been left-handed, so he insisted on doing things the left-handed way. Alternatively, it may have just been the tendency of nutty dictators to make their armies walk in a funny way just because (think of Nazi Germany or North Korea). A more boring theory puts it down to the habit of driving large teams of horses which meant that the driver had to sit on the left with the whip in his left hand (though don’t ask me why this was necessary). And, thanks to the French Revolution, nuts to any Papal Edicts that had been knocking around since the Middle Ages! Drive on zat side of ze road! Anyway, the habit of driving on the right started in France and spread, along with French manners and Napoleon’s empire, around large chunks of Europe. 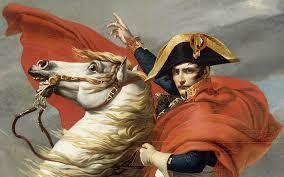 It also became the habit in the US, partly because one of the generals in the War of Independence was French (General Lafayette) and partly because they didn’t want to do things like the Brits did, and the Brits had defiantly refused to change the good old-fashioned habit just because Napoleon had said to. I say, old chap, we won’t do that! As an aside, the French and the Americans deciding to do things the opposite of the Brits, whom they hated, was also responsible for the “pink for girls, blue for boys” thing. Posh Brits wanting to dress their offspring in gender-distinct colours picked pink for boys, as this was considered a strong, bold colour that was a baby version of military red; blue was already associated with the Virgin Mary and was considered softer, gentler and more soothing. The French, however, had their soldiers in blue uniforms and, sacré bleu, were going to reflect this in their baby clothes; thanks to the Revolution when they all officially became athiests/agnostics, who cares about Mary? The Yanks also hated the Redcoats, so they ditched pink for boys as well. Anyway, I digress. The French and the Americans decided to do things their way and introduce keeping right. Those sharing a continent with them often ended up following suit and because they’d spent time under Napoleon’s possibly left thumb. As the use of the motorcar spread, those sharing continents with them also made the shift from left to right to avoid cross-border carnage and also because they wanted posh American cars. However, those of us with our own motoring industries in countries where the border is the beach kept to the old traditions, mostly because we don’t have the cross-border muddles and we produced our own posh cars, thank you. 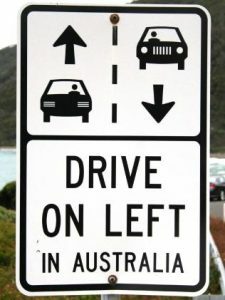 The UK, Australia, New Zealand and Japan all drive on the left. So does India, probably because of the lengthy period of British colonialization. Around one-third of the world still keeps left. However, according to some road safety experts, keeping left versus keeping right isn’t as inconsequential and trivial as, say, the colours you use to show whether Bubs is a boy or a girl. The majority of the population is still right-handed and right-eyed, so it makes sense to have your dominant hand on the wheel actually controlling the direction of the car while the non-dominant hand moves the gears, and to have your dominant eye getting the best view of the traffic. There has actually been a study, carried out in the late 1960s by a chap called J.J Leeming (who was a Brit – which may have biased his results), which suggests that when you take all other factors into account, the road accident rate is slightly higher in countries that drive on the right compared with those that drive on the left, thanks to the handedness factor. I have attempted to find out whether these results, originally published in a wee book called Road Accidents: Prevent or Punish? have been verified, but Google Scholar doesn’t seem to reveal any that directly compare accident rates in left-side countries versus right-side countries controlling for other factors. Any civil engineering grad students out there looking for a good thesis topic who want to do this? And there you have it: keeping left is possibly the oldest road safety rule known to humanity. Keeping left isn’t fighting the natural preferences of the majority (sorry, lefties!). So make sure you do it! Holden On For The Future: Commodore VXR. We’re not far from seeing the cessation of automotive manufacturing here in Australia, with Holden, Toyota, and HSV due to wrap up before the end of 2017. Holden will move to fully sourcing cars from Europe and with the sale of Opel to PSA Group, owner of Peugeot and Citroen, have a potentially larger portfolio to choose from. In the interim, however, Holden has provided details of the forthcoming Commodore and that’s a decision that’s divided Holden fans. That decision is to have kept the nameplate of Commodore and not move to something else. Gone is the SS nameplate and replacing it is VXR. Here are the details. It packs a 3.6-litre V6 engine pumping out 235W and 381Nm, is paired with a 9-speed transmission and adaptive all-wheel drive system boasting torque vectoring technology and a twin-clutch rear differential. Combined with the selectable drive modes, the all-new Commodore VXR blends power with control for ultimate driver engagement. Differentiating the VXR as the jewel in the next-generation Commodore crown, the range-topping model boasts Brembo front brakes and a unique sports set-up allowing drivers to switch between driving modes. Driver-adjustable settings include Continuous Damping Control (CDC), steering, transmission and the adaptive AWD system. 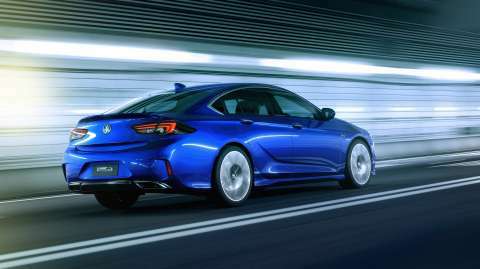 The next generation Commodore VXR also adds sports styling to its “Sculptural Artistry Meets German Precision” design language with bespoke twenty inch wheels, larger rear spoiler, front and rear sports fascias, and premium VXR sill plates. Head to www.holden.com.au for details on the current and forthcoming range. Private Fleet Car Review: 2017 Kia Cerato Sport. Car makers have a habit of badging a vehicle and calling it a Sports model. Holden did it with the SV6 Commodore, Ford’s Falcon XR6, Toyota with the Camry and Aurion…generally it’s cosmetic and that’s it. Kia has jumped on the sports wagon and added one to the Cerato family as the 2017 Kia Cerato Sport. It’s priced at $24790 RRP plus metallic paint (Snow White metallic pearl on the test car) at $520. Mechanically you get Kia’s free spinning two litre petrol four. It’s good for 112 kilowatts (6200 rpm) and 192 torques (4000 rpm). It’s a six speed auto in the test car. The ratios see around 2250 on the tacho for the state limit in Australia of 110 kph. Economy is claimed to be, from a fifty litre tank of standard unleaded, 9.9L/100 km for the city, a more reasonable 5.7 L/100 km for the highway, and a combined figure of 7.3L/100 km. Private Fleet saw a best of 6.2L/100 kilometres on a jaunt to the upper south coast of NSW and back. Externally you get a lithe, slippery, sinuously shaped 4560 mm long body with a solitary Sport badge on the left rear, the addition of a small bootlid spoiler above the 421 litre boot, sweet looking alloys and Nexen rubber of a 215/45/17 profile, with the overall look of a wheel and tyre combination failing to look as if they fit and fill the wheelwells. Perhaps 18s and a 50 series tyre would look more as if they’d fill the hole, but at what cost for ride quality? The Schreyer grille is a touch more upright and adds a visible extra toughness. To add to the Sport, you get a black valance for the rear bumper, globe driving lights in the front (no LED driving lights, they’re reserved for the top of the range SLi) and a number of features shared with the models either side, the S and Si, such as front and rear parking sensors, mirror mounted indicator lights, and folding heated exterior mirrors. The headlights slide deep into the fenders and have a white plastic insert that does nothing for lighting but breaks up the look to provide a bit more visual appeal. However, they’re not as sharped edged and attractive as sister car, Hyundai’s Elantra. 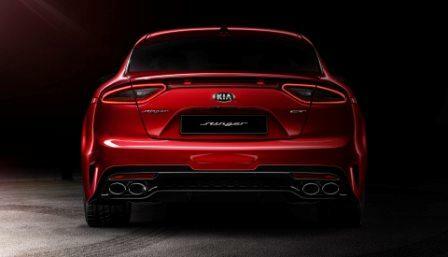 The rear lights have also been given a slight makeover, with the look now more akin to a Euro style car. Internally it’s standard Kia; great ergonomics, clean layout and easy to read dash and console controls, cloth seats (shared with the S and covered in a harder wearing weave), a man made leather wrapped driver’s binnacle, 2 twelve volt sockets and USB, plenty of leg room inside the 2700 mm wheelbase and shoulder room in the small mid sized sedan thanks to an overall width of 1780 mm. Airconditioning is controlled by old school dials; old school they may be but there’s nothing simpler than a dial with pictures to tell you how hot/cold, how much blowing speed and where it’s going. Naturally there’s Bluetooth and a reverse camera to complement the six airbags plus there’s Apple CarPlay and Android Auto on board. Audio and satnav are controlled via a seven inch touchscreen and it’s here where technology niggles. From Start, the screen shows a warning message and requires human intervention to agree and move forward. I’m not a fan of such a program, whereas a timed delay before reverting to the radio screen would be more appropriate. The satnav is brilliant in look and usage, showing a proper geographical perspective for the surrounding lands, and can be zoomed/expanded via the radio tuning knob on the right hand side. The driver faces a simple two dial layount, with speed and engine rev counter taking pride of place and fuel & engine temperature in two small sectioned locations to the bottom. In between the main dials is the info screen, with servicing intervals, speed, economy, trip meters and more available via the steering wheel mounted tabs. Again, typical, user friendly, human oriented Kia. The dash design overall hasn’t changed much, with the ovoid, curved, look and sweeping vertically oriented lines breaking up an otherwise somewhat slabby black plastic look. The six speed auto in the test car didn’t exhibit anything out of the ordinary nor was it the slickest, smoothest, transmission around. Hesitant and jerky sometimes from low throttle start, sometimes sweet and unfussed, barely noticeable in changes at speed, easily self changing on slight slopes and descents to holding a gear too long on a downhill or uphill run and requiring manual intervention. There’s three dive modes (Sport/Normal/Eco) and only rarely was Sport called upon for it’s quicker shifting. A mixed bag and not one of the best nor worst around and not really deserving of a Sport moniker. The ride itself though is a delight and shows off the fettling Kia’s engineers have added. It’s well damped in the McPherson strut front/coupled torsion beam rear, with smaller lumps and bumps quickly dialled out, quick rebound from bigger dips and undualtions, however there was a sideways skip occasionally on some unsettled surfaces. The front benefits from uprated springs, adding a poise and nimbleness in turn-in. Tyre pressures were crucial, too, with 36 psi having the Cerato Sport feeling taut, grippy but also a touch skatey in tighter corners. Around 32 psi would provide the ideal balnce for ride and handling. You get a sense of agility, confidence, and tactility though, with a feeling that it’d require some serious issues to lose grip. But the electrically assisted steering is perhaps a little too eager to help, lacking real feedback and communication, with numbness on centre and an artifical weight once wound left and right plus a sense of twitchiness requiring the driver to add in minute corrections as you pedal along. Acceleration is adequate without much sparkle, meaning a good press of the go pedal to move the 1309 kilo plus cargo is needed. Seat of the pants says around 8 to 9 seconds to 100 kph. The engine is smooth and never feels stresed as it climbs through the numbers but will sound a touch harsh and metallic as it gets over 4500. The Cerato Sport gets the basics in electronic safety, such as Vehicle Stability Management, Hill Start Assist but being closer to entry level it misses out on Lane Change Assist, Rear Cross Traffic Alert, Lane Departure Warning and the like. However there’s the embedded seven year warranty and fixed price servicing, with a maximum cost of $487 in the fourth service. At The End Of The Drive. 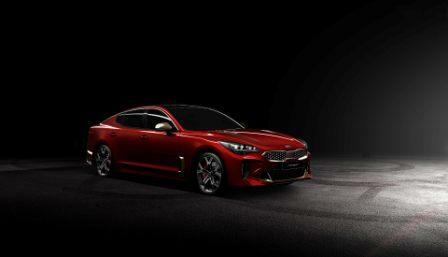 Kia Australia Releases Pricing For The Highly Anticipated Stinger. With thanks to Kia for images and content. In NSW we have seen a couple of high profile examples of road rage recently, however it’s a daily occurence for unknown numbers. What do we see? People speeding past; changing lanes with no signal; weaving dangerously across three and four lanes; passing too closely on either side of your car; speeding up to block you out; not allowing you to change lanes or merge on or off the highway; racing other drivers (i.e., two maniacs who think car-handling skills are better than they actually are); roaring up behind as if they might intentionally rear-end you; constant tailgating; horn honking; flashing high beams at your mirror when you are in “their” fast lane; finger flipping; screaming out the window; causing or creating accidents; pulling over to fight; or worse, kill the other driver. Whom do we see doing it? Frankly, just about anyone. However it’s also no longer a gender specific issue, as Psychology Today (USA based) says: Women may not get into roadside fistfights or point guns at each other like men, but they can drive just as aggressively, rudely, and even dangerously. Personal experience from my point of view does, sadly, back up the validity of the comment. 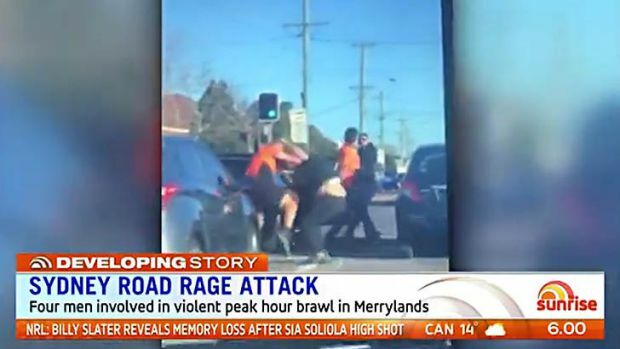 Even more sadly, a good proportion of the drivers one could describe as driving badly are P platers, those that would have finished their training anywhere between a few days to three years before, with a slight leaning towards males being “assertive” on their driving styles. But there’s so many things that constitute bad driving that inflame and raise the ire of other drivers. A number of surveys point, somewhat oddly, to drivers failing to indicate as a major heart rate raiser. I say oddly given the sheer amount of vehicles with “broken indicators”….There’s little doubt a favourite is the slow lane speeders, those that hold up other drivers at a velocity below the speed limit on a single lane yet somehow find the extra effort to keep pace or move forward of you when a lane for overtaking becomes available. Another seeming favourite is the tailgater, with “braketesting” a close follower. Driver’s that’ll sit right on the rear of your car for no apparent reason, and especially when there’s no possibility of them overtaking on either side due to traffic numbers. The braketesters, the ones that slow suddenly and again for no apparent reason, are in there as a road rager. But what of the reactions? One response was: “people are genuinely sick and tired of bad drivers when there’s no need for bad driving.” Is there a level of impatience with people that simply don’t seem to be able to do something that genuinely isn’t that hard? We’d like to hear from you. Tell us your experiences of road rage and why you think it exists. How Will The Police Force Replace Their Fords and Holdens? We all know that the Holden Commodore has been an Aussie icon on the roads for quite a few years now. We’ve also all seen Holden Commodores tricked out as police cars… sometimes a bit too close for comfort and sometimes as a very welcome sight indeed. If you are both sharp-eyed and lead-footed, then the sight and shape of any white Commodore of a certain age is enough to get you easing up on the accelerator and slowing down; the shape is burned into your brain like the shape of a hawk is burned into the brain of a chicken (yes, chickens actually do have brains). It also appears that the red lion vs blue oval rivalry might be alive and well in the police force, as all the points above also apply to Ford Falcons, including the bit about the shape being burned into the brains of the lead-footed. However, the doors of the Holden factory are closing. So are Ford’s, which means that if our police force wants to have a vehicle fleet that’s up to date, they need to look for another company. Naturally, car manufacturers around the globe have been eyeing up the contract of providing our police cars… and not just for the honour of the job but also for the very big bucks this sort of contract would entail. So what are our boys and girls in blue going to be driving? Rumours are flying thick and fast. 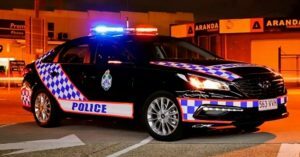 Browsing through the Australian Federal Police and the NSW police websites don’t exactly yield a lot of information about what the new vehicle is going to be – it’s all kept very, very quiet. However, the rumour mill has popped up a couple of possibilities that could very well be in the running for what we’ll see on the roads sporting the disco lights and with the word POLICE proudly emblazoned on the side (hopefully not pulling up your driveway when you hadn’t dialled 000). It’s not easy being a cop car. A cop car has to have great handling and plenty of power and torque for quick responses. It shouldn’t look ridiculous and it should have enough space for all the gadgetry that a modern cop needs. (Question: how come talking on the phone is considered distracting to the common or garden driver but communicating with dispatchers and other units while driving isn’t distracting to a cop?) A cop car also needs to have enough space to transport the newly arrested naughty people where they can’t be a problem to the driver, and possibly enough space to carry a K-9 officer. It also shouldn’t cost the earth to purchase or maintain, so that rules out all the fancy wheels used by the police in the United Arab Emirates. We’re paying enough tax without that sort of expense! The rumour mill has ground out a few possibilities for what’s going to be the replacement for the Fords and Holdens. One very likely contender at the moment is the Chrysler 300 SRT . 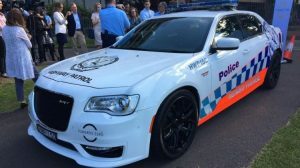 One of these V8-engined sedans was spotted wearing the NSW Police livery back in May. Volvo XC60 SUVs, which provide a bit of off-road capacity plus Volvo’s legendary safety standards, have also been spotted with the disco lights fitted. Volvo does police cars for other countries, so it’s got a proven track record in this area. 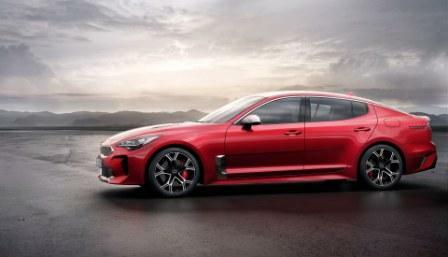 The Kia Stinger is another hot contender and certainly has a beautifully appropriate name – what else would you use in a police sting operation other than a Stinger? This new release V6 sedan isn’t the only offering put up for consideration by Kia, with the Sorento SUV being in the running. The Kias are hot contenders because as well as offering plenty of bang, they don’t require quite as many bucks as some of the luxury European contenders, such as the BMW 5-series. Another South Korean in the running is the Hyundai Sonata Active , a number of which have recently been added to the Queensland police fleet, although the rumour mill has it that these needed a few tweaks to the brakes and tyres (and possibly some other tweaks they’re not telling the general public about). We’ve previously detailed some of the frustrating and pointless driving habits we witness on our roads. But what about the habits that we should be mindful of that have the potential to damage our car. Not only could these habits pose an inconvenience by forcing you off the road, they may also involve costly repairs. Let’s take a look at some of these driving habits. While the thrill of accelerating is a joy to some, harsh accelerating, as well as sudden braking, can both lead to earlier maintenance. When accelerating in this manner you put the car’s engine under more stress. 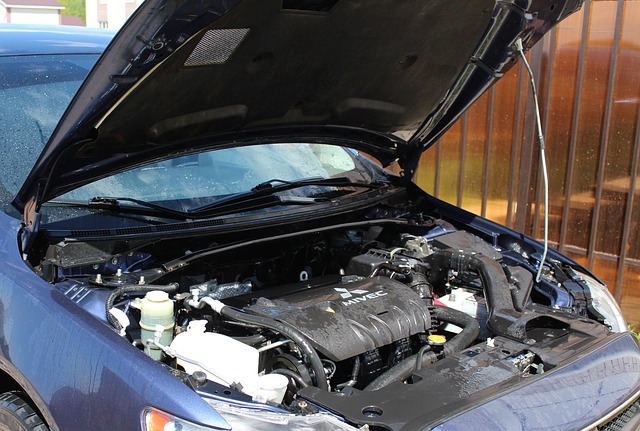 What’s more, if the engine isn’t fully warm, the wear on the engine is even more pronounced because oil has yet to be circulated through the engine system. Sudden braking on the other hand can shorten the life span of the brakes, brake pads and rotors. Furthermore, if you’re inclined to ride the brakes, they will be worn down faster by way of the heat generated. Like you were taught in your driving lessons, you should always maintain a smooth transition when accelerating or braking. 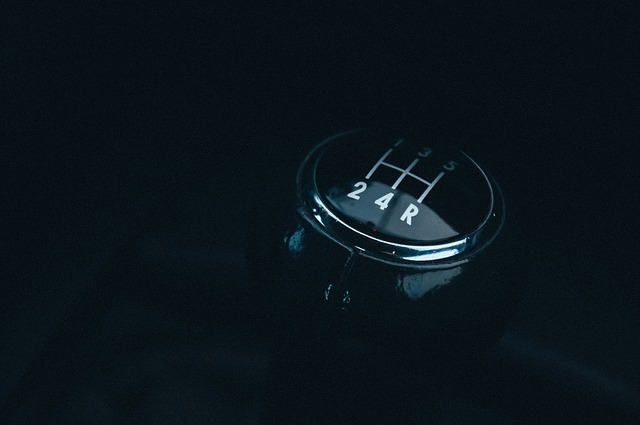 When it comes to manual vehicles, riding the clutch can lead to its own complications. Pressure from the clutch, regardless of how little, raises plates away from the flywheel. Without the friction between the clutch and the flywheel, the flywheel begins to slip leading to wear. Over time, this can lead to the clutch failing. Also when it comes to manual cars, keep an eye out for being in the wrong gear, which can deteriorate the engine and cylinder heads. Hand brakes were designed for a reason. To support the weight of the car while it is parked. When you opt not to use the hand brake, all the car’s weight is transferred to another component in the transmission of the vehicle – the parking prawl. The thing is, once you start to excessively load this part, it will eventually fail and render the parking in your transmission useless. Similarly, when you’re on a hill, you should be particularly precise to put the car’s transmission into neutral first, before setting the hand brake. Once you’ve done this and released the brakes, you may then subsequently shift the transmission into park. Many of us are guilty of this. And in fact, you don’t even have to run the tank empty to cause problems. Problems may eventuate by leaving the tank at a low level. How? Well, fuel acts as a lubricant. Modern day fuels also have cleansing properties designed to look after the fuel pump and filter. 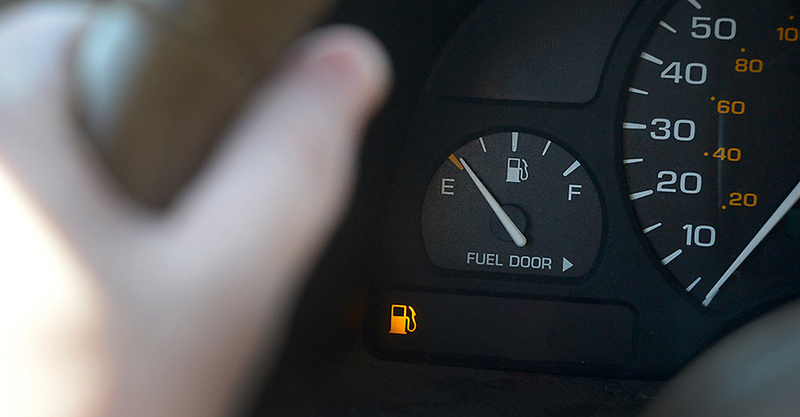 When you run your fuel low, you can allow rust and dirt from the bottom of the tank to enter and damage the fuel filter. You know how during the early kilometres of your new vehicle there is a ‘break in’ period where it is advised you don’t drive aggressively? Well, that’s not just for your own safety. This is a form of conditioning, where you effectively allow a newly built vehicle to settle in and become accustom to stress from operation. While modern day cars do some form of this during manufacturing, it is still recommended that you don’t push it too hard during these early stages or you may compromise the vehicle’s life span ever so slightly. Just like you would listen to your body if it was telling you something wrong, you should listen to your vehicle. If you receive warning lights on your dashboard, make sure you understand what they are and that you address the problem. The sophistication of these systems is quite advanced, even when it comes to informing you of maintenance. If you start to delay maintenance, you may compound any existing problems and allow oils to turn into sludge that can damage the engine. Labor Says 50% Electric Cars By 2030….Can It Be Done? Car Review: 2019 Lexus UX 2.0L & 2.0L Hybrid. Bill Nixon on Hyundai Kona Electric Is Revealed.